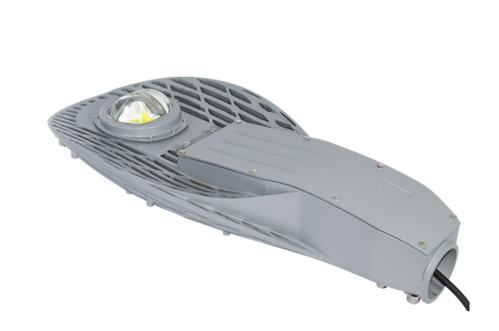 Our organization is engaged in offering a wide range of 50W LED Street Light to our valuable clients. The constant-current, AOC LED driver that operates from 90-305 Vac input with excellent power factor. It is created for street, tunnel and bay lights. The high efficiency of these drivers and compact metal case enables them to run cooler, significantly improving reliability and extending product life. To ensure trouble-free operation, protection is provided against input surge, output over voltage, short circuit, and over temperature. in INDIA with more than 12 years experience. ISO 9001-2015 quality assurance management system and all of our products have certificates like , BIS, ROHS, DAC and etc. To maximize product value and service value, we constantly improve the quality, improve the management and improve the service. “Strive for perfection” is our professional spirit. We strive to do a consummate job of each project to satisfy each customer’s demand. Sincerely welcome our OEM & ODM projects for win-win cooperation. We will supply you with qualified product, competitive price and greatest service to be your best choice. Our product range of LED High bay Light, LED Street Light, LED Flood Lights, FLP Well Glass, LED Solar Street Lights, LED Panel Lights, LED Tube Lights, etc. We provide these products under the brand name ilux. We have developed a capacious infrastructural unit that is located at Kota, Ankleshwar and Vapi ( India) and assists us to provide an excellent collection of products to the clients in a predefined time period. we have achieved a significant position in this sector.